If you are familiar with WordPress and have used it to build your own website, you may be happy with the look and design of your site using a theme and a number of plugins to achieve the functionality you require. It’s perfectly possible to create basic pages and blog posts using the WordPress post editor where you can insert images, videos, text and format it how you like using the basic tools. But what if you want to create more unique layouts ? For example, you might want to build a landing page for an advertising campaign. You might want want to people a page with your customer testimonials on, or list your staff members or simply add some columns and arrange the content in a way that the basic editor doesn’t allow. To do this, you either need to know some coding (HTML & CSS) or you need to employ a designer to create these unique layouts for you. Luckily, now there is a third way – you can add a drag and drop page builder plugin to your site. Page builder plugins, provide a drag and drop interface and a range of elements which you can use to build unique pages however you like. They typically work in the browser window and allow you to create rows and columns and then add different items to the page and customize the size, position and color of the elements which gives you a great deal more control over how a page will look. If that sounds good to you, this collection will be handy – we have gathered together over 30 different page builders for you to choose from. Some of these are completely free to use and available on the official directory and some are paid plugins which you can purchase from the developers themselves or from marketplaces like Codecanyon. Take a look below and choose the one which looks the best for your requirements. Divi content builder plugin is the most powerful and complete content builder plugin for WordPress. 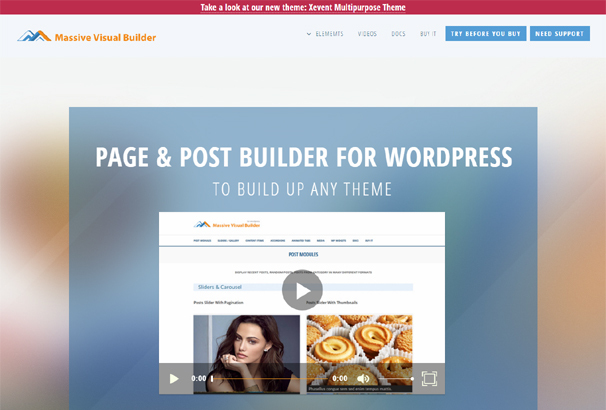 This is a visual drag & drop page builder for any WordPress theme. 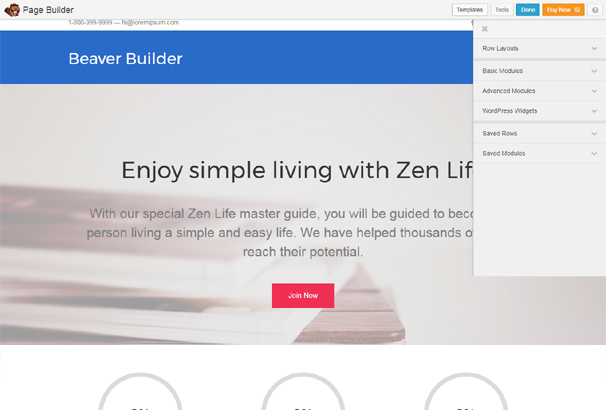 You can take control over your page content with the most advanced builder plugin. It contains almost 46 content modules and those are very useful to create any types of layout in minutes. This is another exclusive page builder plugin that works on the front end of your WordPress website. 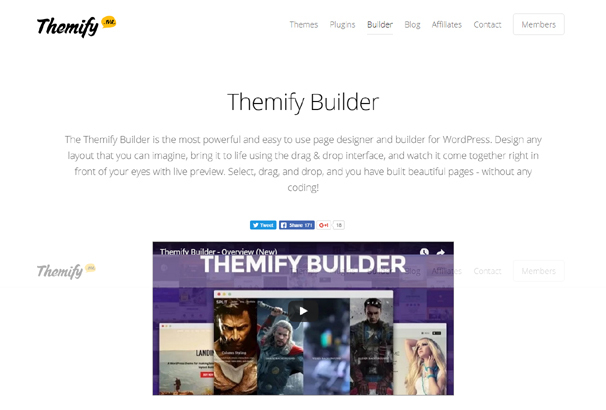 With this amazing builder, you can easily create beautiful, professional WordPress pages within very short time. It also works with most of the WordPress theme. This plugin contains various pre-designed cards that you can combine to create a new website or pages as your needs. All the designed cards are fully responsive and you don’t need to code something to develop a site. This is a super easy plugin that can help you to create, edit and change everything that you needs. Page Builder is the most exclusive and popular drag and drops page builder plugin for WordPress based websites. By using this plugin, you can easily create fully responsive columns based content. This plugin works with most of the WordPress themes and you can change the theme anytime and content will always come along with you. Let’s try the page builder now! By using this plugin, you can easily create a complete WordPress website in a few minutes and it requires no coding knowledge. 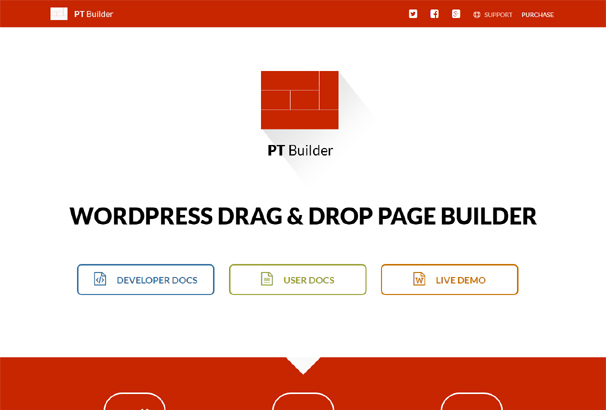 This plugin has drag and drop builder which is very helpful to create a new page with contents. You can use this plugin both for pages and posts. It has also live preview option and easy to track your changes immediately without switching back. Minimax – Layout Builder Plugin is a dragging-and-dropping builder plugin. 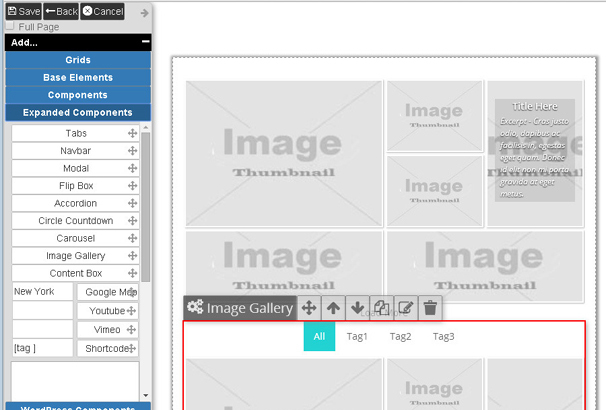 By using this plugin, you are able to create a complex layout with some easy steps. It contains huge custom modules and build a sales page or squeeze page, just within a few minutes. 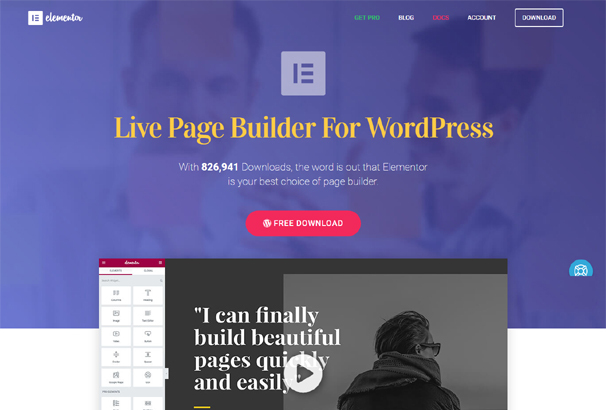 Elementor is one of the best page builder plugins for WordPress. This plugin is very easy to use and it helps you to design on the front end with instant, real time results. By using this plugin you can easily adjust section width and height, resize columns and padding and margin. This plugin also contains various types of pre-made templates so you can save your time to design new pages. 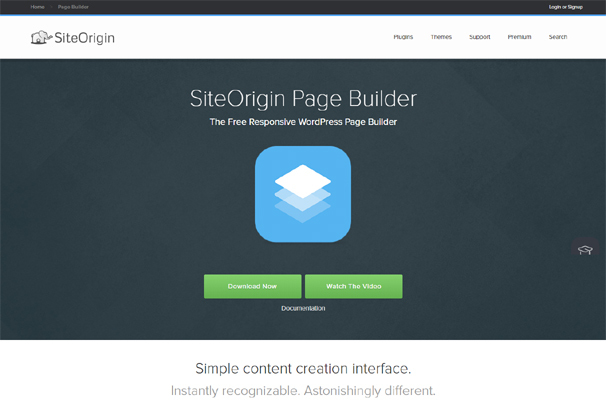 This is a simple but very powerful WordPress page builder plugin that integrated with the clipboard. 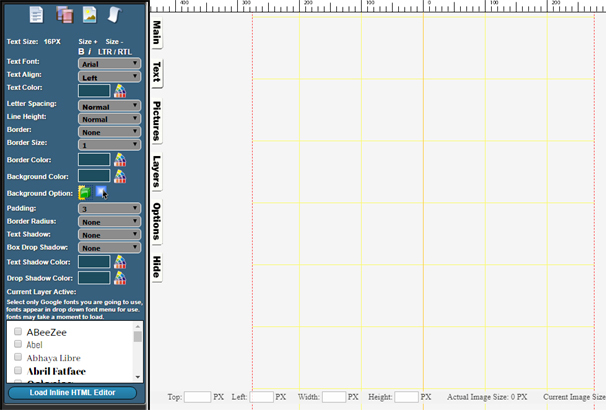 It has also undo/redo option and integrated with drag and drop functionality. You can also use smart shortcut mapper for quick mapping of existing shortcuts. 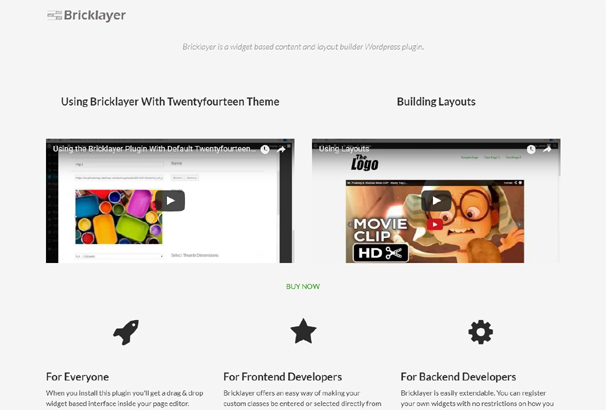 Bricklayer is another powerful WordPress content builder plugin. The main features of this plugin are: Drag & Drop Page Builder, Drag & Drop Layout Builder, Can be used with posts as well, Templates 20+ Widgets (Bricks), Responsive Grid, Register CSS classes, Register Custom Widgets, Register Custom Thumbnail Sizes, Responsive Body, Background image and much more. This plugin has the most intuitive drag and drop interface and lots of pre-build modules such as Accordions, Stats Counter, Knobs, Alert Boxes, Animation Box, Price Boxes, Progress Bar, QR Code, Service Boxes, Tabs, Team Member, Map, PayPal Buttons, Member Only Content, Tooltip, YouTube, Vimeo and self hosted HTML5 video and more. 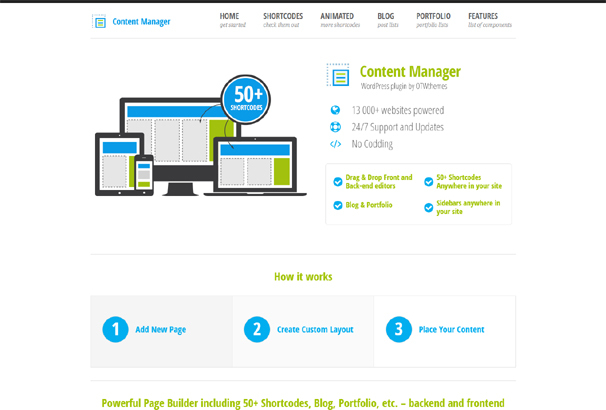 This is the most professional content builder plugin for WordPress website. This plugin has drag & drop front and back-end editor that helps you to create an amazing layout for your WordPress site. Creating custom responsive layout has been a just few clicks job. You can easily edit your layouts and content in the front-end of your site, no need to go WordPress admin area. 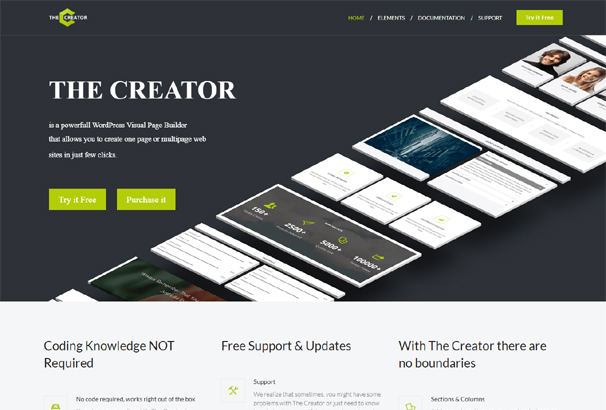 The Creator is such a great WordPress page builder plugin that helps you to create an amazing layout with few clicks. If you have zero coding skills, then this plugin is perfect for you. Using the drag and drop interface, you can easily create pages and posts for your website. There are lots of pre-built templates which are very helpful for page designing. 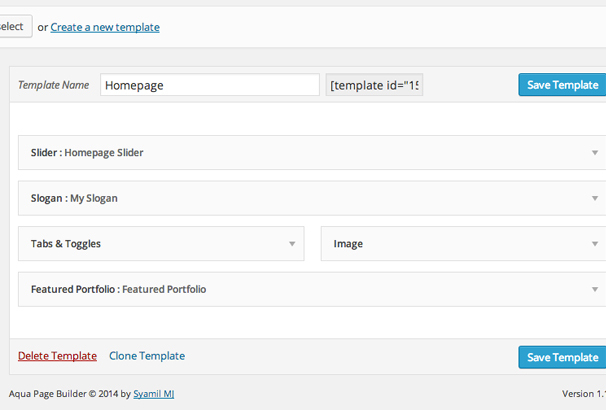 This is basically a visual page builder WordPress plugin. There are lots of features are included in this plugin such as Cross browser, supports Chrome, FireFox, Safari, Opera and IE9 +, Based on Bootstrap 3. x, Drag & Drop Interface, 12 Columns Responsive Grid, 600+ Google Fonts, 100 + Animate effects and much more. 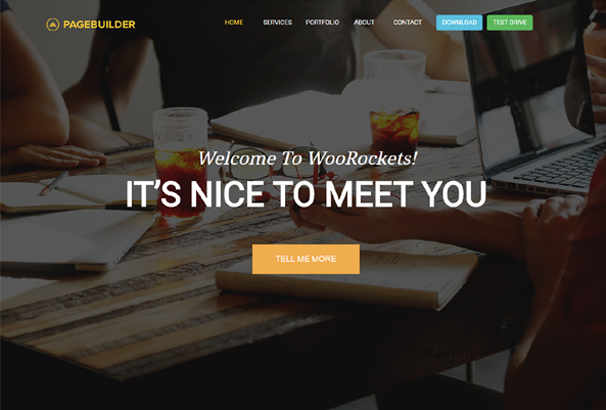 This is an awesome WordPress front-end plugin. 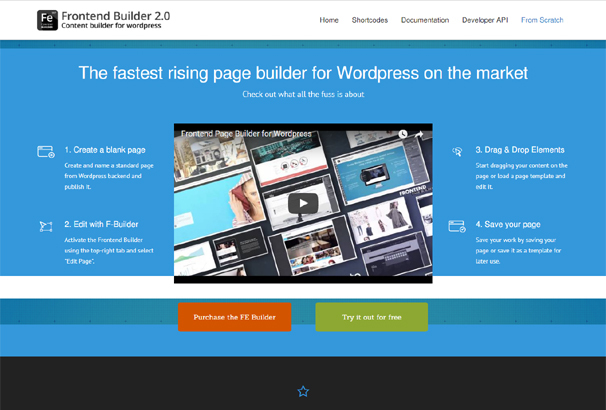 You can build a complete WordPress based website by using this plugin. 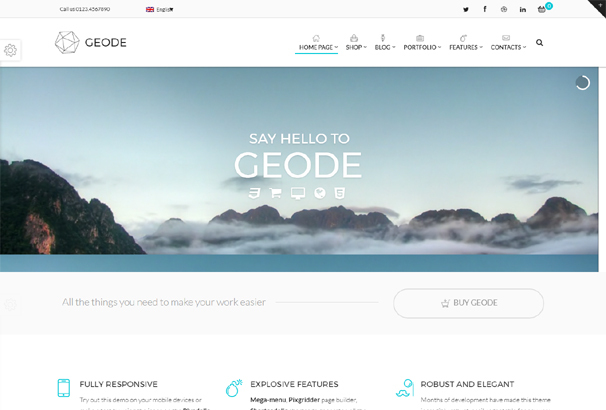 This plugin has a professional looking interface that helps you to create an amazing website by using pre-built elements and shortcodes. You can easily add new elements in columns and rows by simply clicking the “Add new element” from the empty row and your page will be ready within a short time. 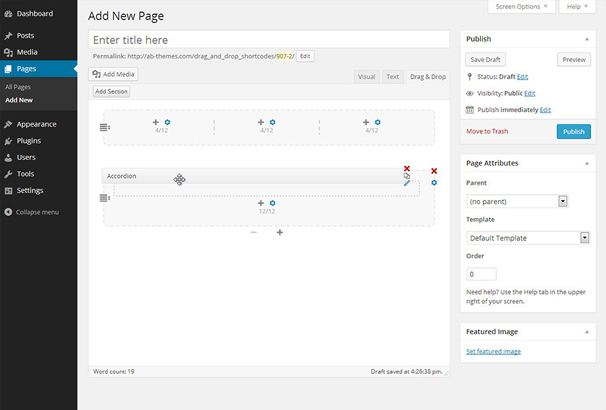 PTBuilder is a perfect solution for fast page editing in the WordPress editor. This plugin contains 14 predefined Bootstrap 3. + based elements and very easy to use. 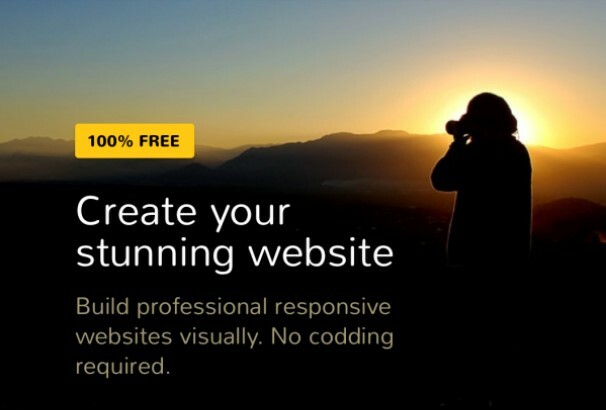 You don’t need to know any types of coding to create website site if you use this plugin. This plugin contains a page grid composer that splits your pages into ordered grids, with rows and columns. PixGridder doesn’t generate shortcuts, it only puts into your posts and pages some HTML comments. Check out this plugin now! If you are looking for the best solution to creating a modern and professional WordPress website then you must check out this plugin. This plugin has lots of features such as Responsive layout, Use any widget, Show/hides any widget in screen, Full-Width Row Support, Row background, Video background, Clone saved templates, support css3 animations for any widget, Nested Rows, Simple UI, 25+ ready widgets, Translation files, Built with OOP/Less/Bootstrap and much more. 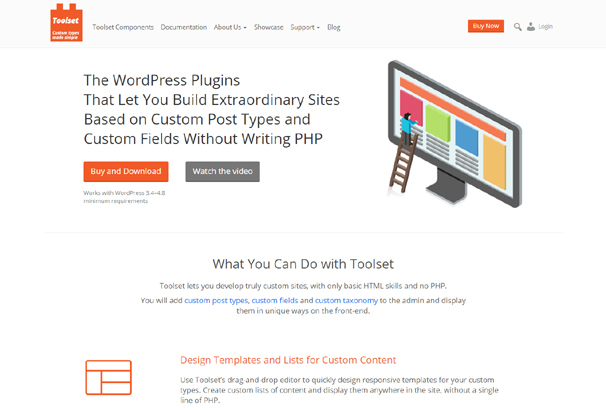 This plugin works based on custom post types and custom fields without writing PHP codes. You can create custom sites with only HTML skills, it requires no PHP skills to do that. You will add custom post types, custom fields, and a custom taxonomy to the admin and display them in unique ways on the front-end. This is an exclusive visual landing page builder plugin for digital marketer. If you are looking for an amazing plugin for creating landing pages in an easy way then this plugin is perfect for you. This plugin contains 30 modules such as Text, Image Widgets, Social, Navigation, Tabs, Accordion, Info, Box, Icon and much more. 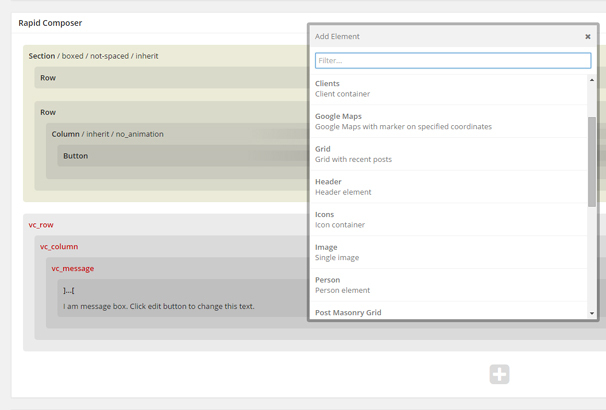 By using this plugin, you can design layout as your needs. 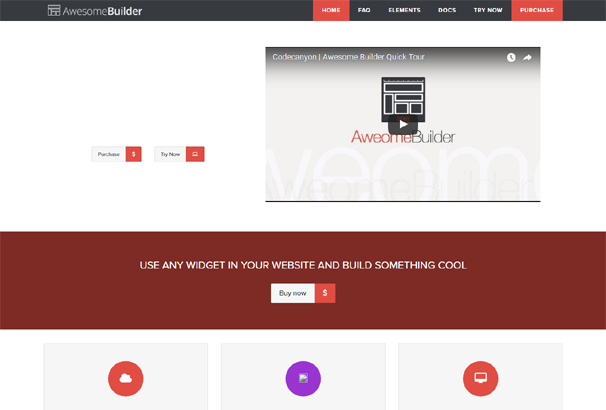 This is the most powerful and easy content builder plugin for WordPress. Just drag, drop and select, and you’ve built beautiful pages – without any coding! 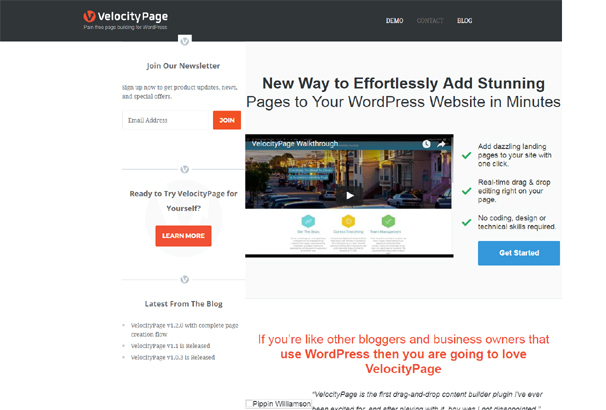 This plugin helps you to add dazzling landing pages to your site with one click. But you require no coding, design or technical skills to do that. You can use this plugin by real-time drag & drop editing right on your page and Add stunning pages to your WordPress website in Minutes. This plugin offers an easy way to display your WordPress content in a grid, list, or table and you can do the whole things by drag-and-drop widget display. 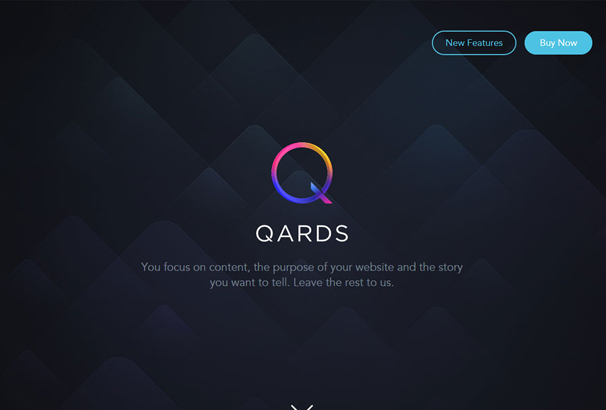 This is such a great tool for professionals that want to streamline developing websites for their upcoming projects. 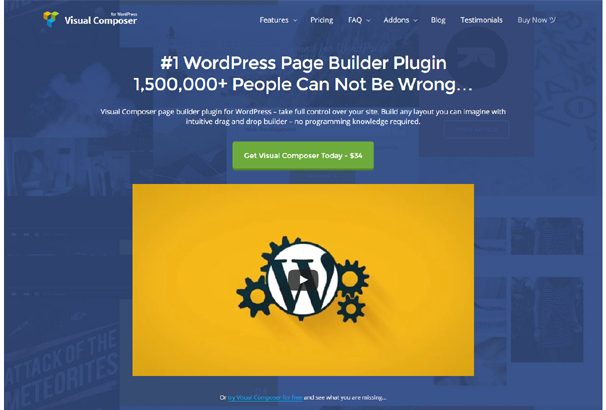 This is the #1 WordPress page builder plugin on the market. You can create any types of responsive layout or design by using this awesome plugin. This plugin has drag & drop options to create page contents. Very easy and flexible to use. Check out this plugin to create stunning and beautiful pages with award winning drag and drop builder. 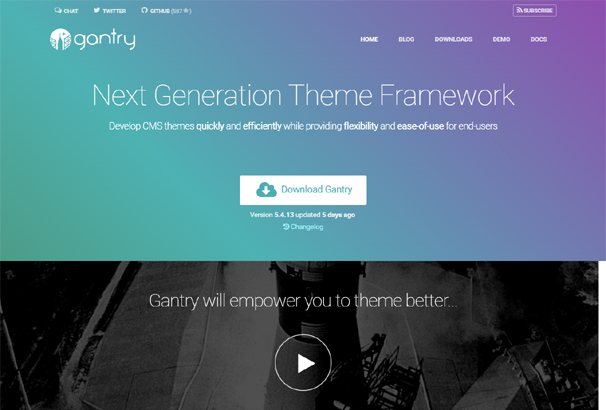 Gantry is basically a next generation framework which helps you to develop cms themes very quickly. You don’t need any types of coding skills to use it. There are lots of features included with the package such as Visual Menu Editor, Layout Manager, Unlimited Undo/Redo and much more. 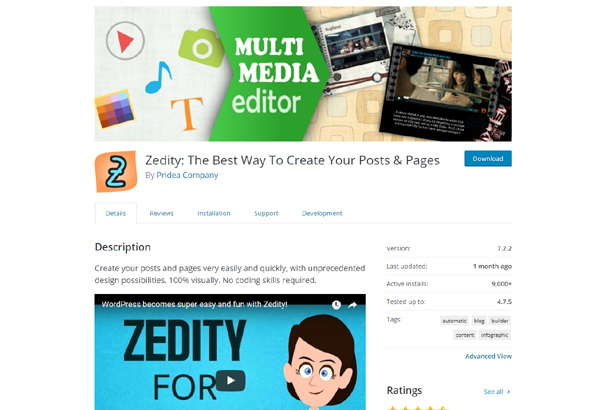 Zedity is a powerful plugin that helps to create posts and pages within few minutes. This is a time saver plugin and very easy to use for all. This plugin gives you unprecedented flexibility and possibilities, not available in the WordPress visual editor. 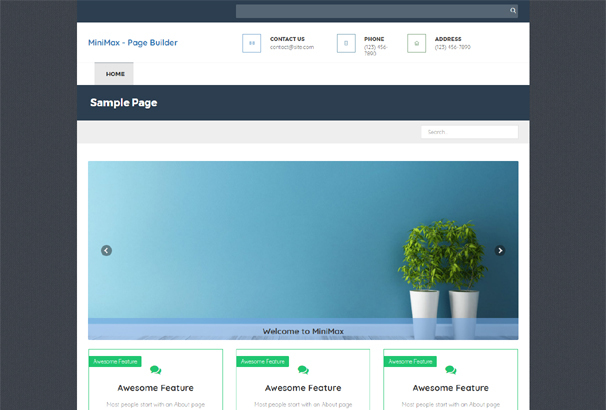 Massive visual page builder plugin enables you to build theme Pages visually using a wide set of shortcuts With an advanced platform that has everything you need to create or manage page items and their layouts. You can also change the style, skins and all other things with some easy process. This powerful plug-in enhances the standard WordPress editor and enables to build websites visually. You can create responsive WordPress pages without having any coding knowledge. This plugin works with all WordPress themes and the output is fully responsive. This plugin allows you to create an unlimited number of template variables for use in your WordPress themes. The features of this plugin are amazing, such as Highly intuitive, drag-and-drop user interface, Integrate seamlessly with the WordPress admin interface, Unlimited number of reusable templates and much more. This is another powerful WordPress plugin that provides all the tools of an HTML editor with the twist that items are easily placed on the page. This plugin is very easy to use and you will get almost all the things which are helpful for you to create a site within very short time. MotoPress Content Editor do deserve a better place in your order. 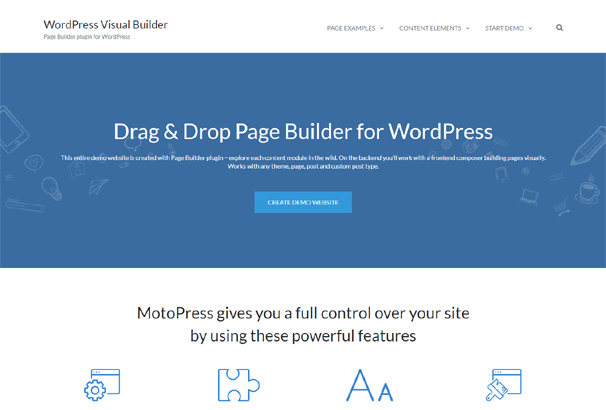 I recently tested free page builder plugins (https://www.themelocation.com/drag-and-drop-page-builders/) and found that Motopress is more flexible than others.